Payment on purchase. No personal cheques. By appointment only. Purchaser can wrap and pick up said items upon arrival. 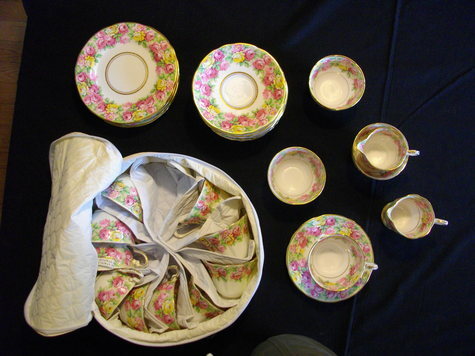 Royal Stafford: "Rosanna", 11 teacups/Saucers, 3 sugar bowls/2 creamers, 7 bread/butter plates, 1 cakeplate 8"